We’re on the last leg of Fashion Week, and the stylish looks that have been gracing the streets of Copenhagen, New York, London, Milan and Paris for the past two months have already had a strong influence on what people have been buying. While the collections that have been sent down the runways will eventually be the ones leading the trends, the impact that this season’s group of stylish Fashion Week attendees has had on sales is, once again, far from negligible. From vibrant colours to old-school favourites, see the eight street style trends that have been driving demand since January. It’s a well known fact that every season needs a new It brand. 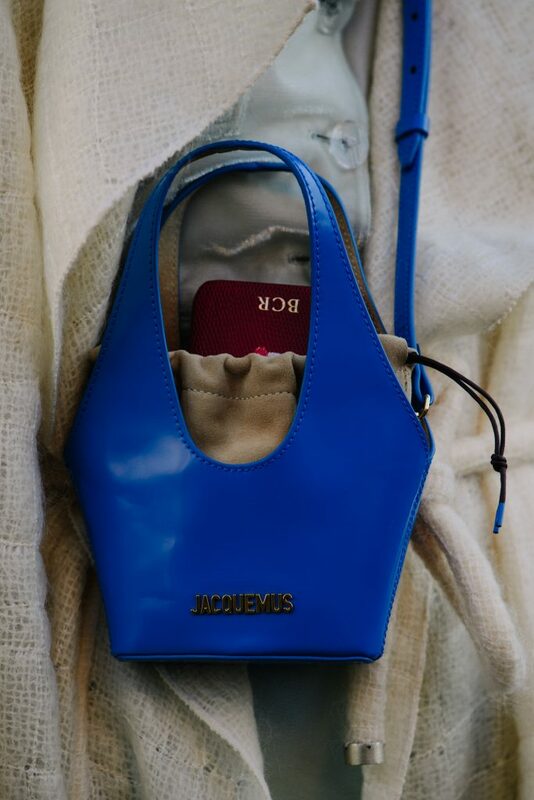 While it was all about old school Fendi and Dior only a few months ago, it seems as though the fashion pack has now moved on to cleaner lines and more modern pieces, turning to Jacquemus bags. In fact, searches for the brand were up 17% on Lyst in January. Rejina Pyo is another brand that has been both popular during Fashion Month and driving a lot of demand. Last month, searches on Lyst were up 28%. During Fashion Week, tie-dye pieces appeared in various ways — from colourful t-shirts worn under check coats to jumpers and faux-fur coats — and were generally paired with more sophisticated items to give the retro trend a more modern look. Since the beginning of January, fashion searches for tie-dye fashion has seen an increase of 46%, with t-shirts and hoodies showing consistent growth since last Summer. Brands like Proenza Schouler, Stella McCartney, and The Elder Statesman are the most viewed on Lyst. There is no denying that fleeces have grown in popularity, with the Patagonia Classic Retro-X™ fleece ranking amongst some of the world’s hottest men’s products in the Lyst Index Q4; and during fashion week, it was also loved by women. In fact, searches for men’s fleeces are up 44% in the last two months, while searches for women’s fleeces are up 39%. Belted coats are nothing new, but their popularity doesn’t seem to be slowing down. With searches on Lyst up 34% MoM, this type of outerwear has been as popular with members of the royal family (we’re looking at you, Meghan) as it’s been with Fashion Week attendees. The latest trick, however, seems to be less about matchy-matchy and more about designer belts. From Salvatore Ferragamo to Gucci, Off-White and every other label in between, putting the emphasis on the waist with one of these luxurious accessories was as popular in Copenhagen as it was in London, Milan, and Paris. Up 109% since the beginning of January, pearl earrings are one of the biggest jewellery trends of the beginning of the year. 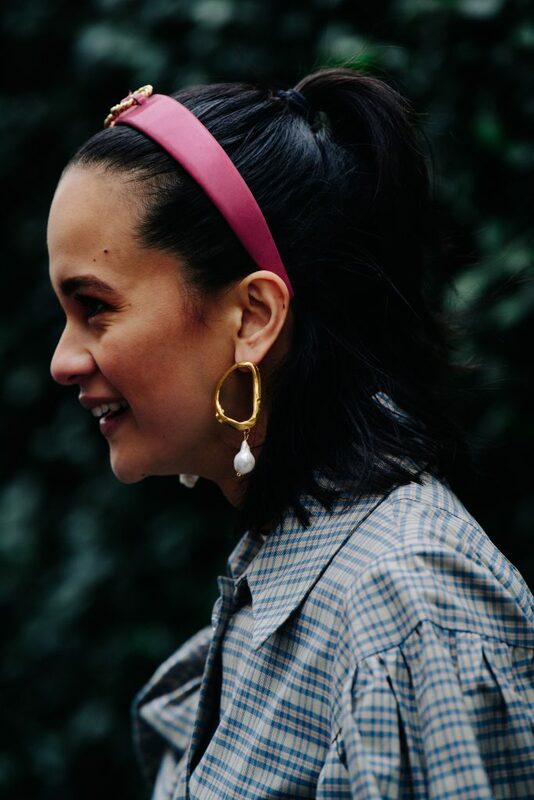 Big or small, statement-making or understated, these delicate pieces have been popping up everywhere, from the Dior catwalk to the streets of Copenhagen. Few trends manage to survive the speedy rhythm at which the fashion pack falls in and out of love with clothes, but check prints are one of those staples that have withstood the test of time. Since the beginning of January searches for women’s plaid coats and jackets are up 43%. With beige being one of the biggest trends of the season, it isn’t surprising to see that fashion searches for cream-coloured items have gone up by 29% on Lyst in the past few weeks. 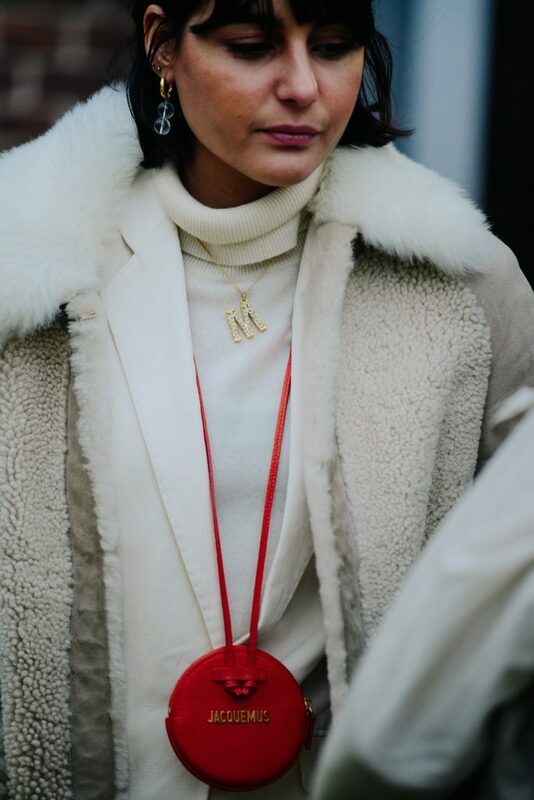 Of course, this soft hue has also been one of the biggest street style trends of Fashion Month, often paired with bright accessories and gold jewellery to make things pop. Forget about black, brown, and white. This season, Fashion Week attendees were all about bright and colourful bags, a street style trend that quickly caught on. 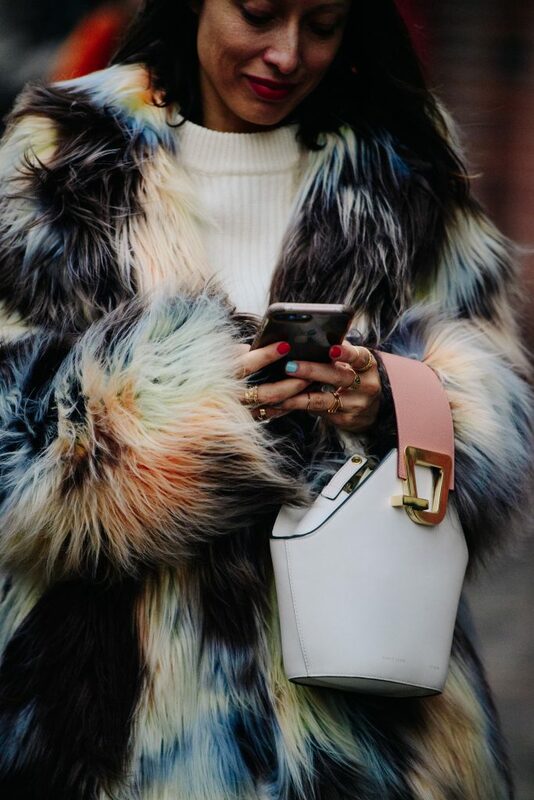 In January alone, fashion searches for green bags were up by 113% on Lyst, while searches for pink bags were up 18%; and in the past four weeks, searches for yellow bags have increased by 48%.